How much time do you spend in your car on your daily commute? Surprisingly, some of us don’t spend that much time commuting to and from. 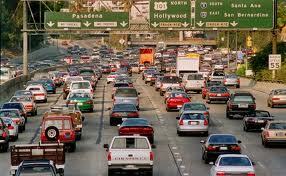 However, according to a recent Census Bureau report, 1.7 million spend 90 minutes or more commuting. Another 2.2 million commute 50 miles or way on their daily grind. To round out those numbers, 600,000 Americans have a commute that involves 90 minutes and 50 or more miles. If you are one of those Americans that fall into those categories, you don’t look forward to that rat race every day. There may be relief on the horizon, thanks to smart data tools and data analytics. With the advent of advanced telematics, mobile technology and in-car connectivity, drivers may soon be able to significantly reduce or eliminate those grueling commute times. Vehicles and road sensors connected to data networks will be able to identify multiple conditions that affect driving conditions, such as weather, traffic conditions, road hazards and driver behaviors. Combining these current factors with historical data gathered, vehicles and drivers will be able to predict road conditions and choose the best routes to their destination. Governments and planning authorities will be able to respond to these conditions and traffic flows resulting from the data. They will be able to respond and resolve traffic incidents, road condition issues and congestion. These factors will reduce commute times, traffic fatalities and the stress associated with long commutes. With all of those exciting possibilities, those veterans of the daily grind can only look to the future with pure joy. Combining emerging technology and data quality tools with the science of data analytics will make those dreams come true. From automotive companies to IT specialists, Data Ladder helps clients ensure their data is managed to the highest level of quality for the best results. Download a free trial of our data cleansing software tools and see the difference Data Ladder can make.